Did you know that analyzing KPIs for call centers is important when evaluating its efficiency and effectiveness? You might be aware of that. But, do you know exactly which KPIs you need to track over time and measure to track for success? 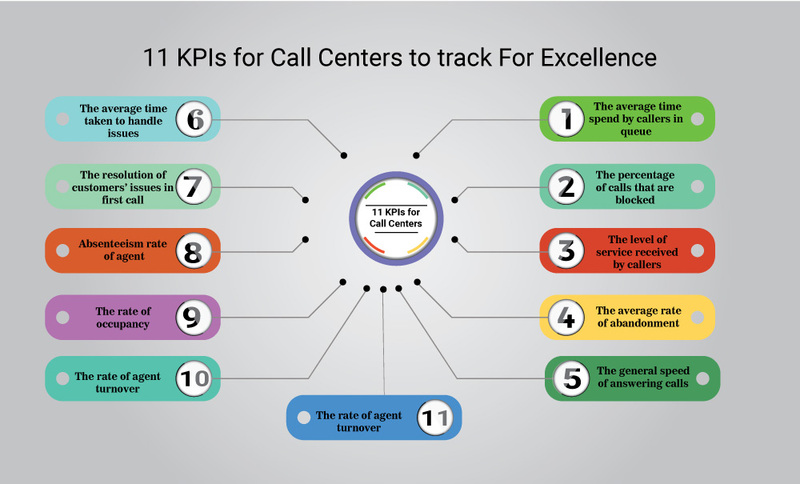 Given below are 11 of the top KPIs that you need to track to assess the excellence of call center. Do you like waiting in a queue? Well, nobody does! This is the reason why you need to make sure that the waiting time for your callers is within a range that is acceptable. For complete customer satisfaction, it is imperative that you keep track of the average time that your callers spend on the queue. This can be calculated by dividing the time of the callers in the queue with the total number of answered calls by the agents. This KPI is a great indicator of whether your team is offering callers the service they deserve or not. There are no agents who are available and the call queues are not configured or it could be that the call queues are full. 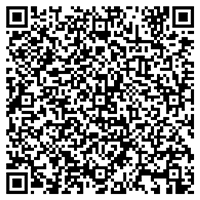 This may lead to the callers’ hearing a busy tone when they call or they may be routed to a voicemail. The software of the call center is unable to properly handle the volume of the callers. This is one such KPI that should never be ignored because even one blocked call can actually be a missed opportunity to connect with a prospective customer or client. level of service is basically the percentage of calls that are answered within a specific number of seconds. This KPI for the call center is exhibited in real time to managers, as well as, agents in the dashboard of the call center software metrics. This helps in making data-driven decisions that are going to influence the KPI to remain within a range that is acceptable. abandonment of call refers to the percentage of callers who hang up even before they reach an agent. This is a very common occurrence in a call center and leads to damaging effects on the customer retention ability of a call center. Therefore, it is important that customer-centric call center services keep track of this key performance indicator and ensure that it continues to remain below the targeted threshold. The average time taken for calls to be answered is calculated as the average speed for answering calls. This also includes the time that a caller has to spend waiting in the queue while the phone of the agent rings. However, this does not include the time that is taken for navigating through the IVR. This KPI is generally referenced by the managers when they are analyzing the efficiency of their team and trying to assess the level of accessibility that they have to their callers. This refers to the elapsed time and it includes the time from when an agent answers a call till the call has been disconnected. This is one of the most important KPIs that need to be analyzed because it is directly related to the satisfaction of customers. If the query or problem of a customer has been successfully solved quickly, it means that the customer is happy and likely to recommend the services. This is a KPI that can be obtained from different sources. The level of customer satisfaction can be acquired by conducting surveys and quality assurance measurements. Irrespective of the methodology uses, it is one KPI that must be taken into consideration to keep track of a call center’s excellence. One thing that has a major impact on the functioning of a call center is the number of days in a year that is lost due to the agents being absent. This can actually lead to influencing the staffing, scheduling and bottom line of the call center. If you want to develop a budget or optimize the workforce, this KPI can certainly help you achieve your goals. This refers to the time spent by agents on live calls, along with completing other tasks associated with the calls. Even though most managers of a call center strive to optimize the occupancy rates, they also need to be aware of the workload of the agents, along with the level of stress when setting targets for call center KPI. The final KPI is to track the rate of agent turnover. This is the percentage of the agents who leave the call center. This can significantly lead to affecting the level of customer satisfaction, team morale and call center scheduling. Hence, it must be included in the list of metrics to be tracked with time. What, according to you, are the metrics that a call center must analyze and track for success? Please feel free to share your thoughts and opinion in the comments below.